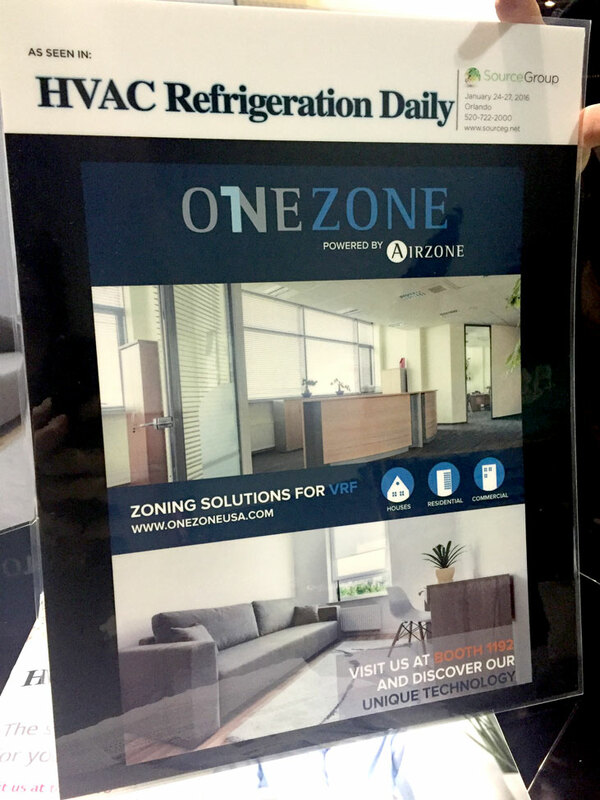 The largest HVACR Marketplace in the world is taking Las Vegas next January. 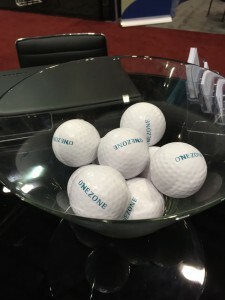 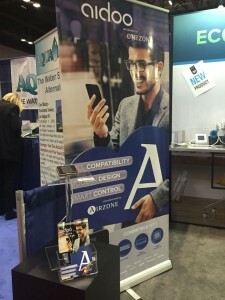 Once again, the OneZone Team will be exhibiting its innovative technology. 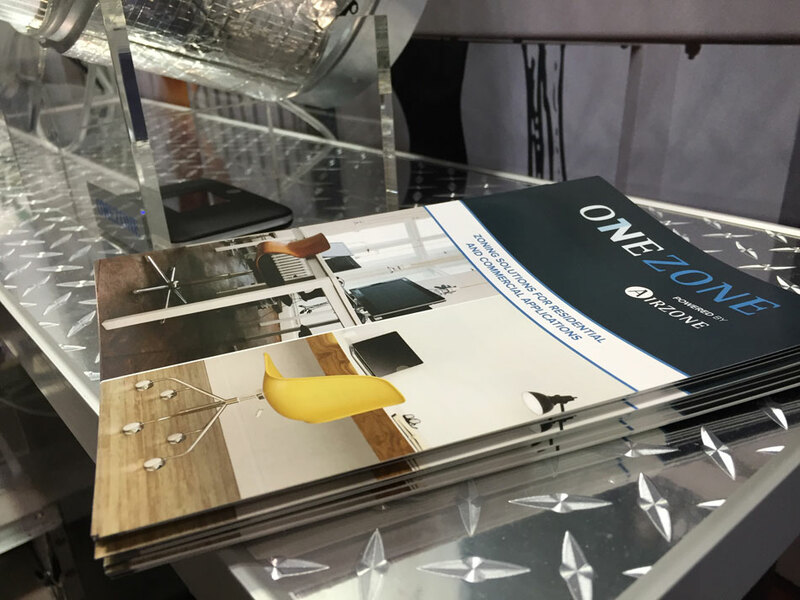 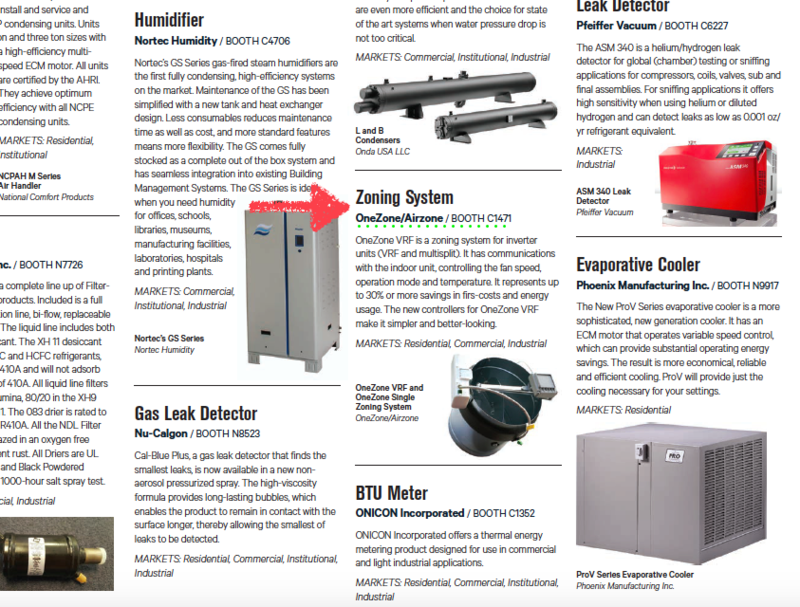 Download the 2017 AHR Expo Product Preview Guide and select all the stands you would like to visit during the Show. Remember you only have 3 days since the Show starts on Jan 30th and ends on Feb 1st. 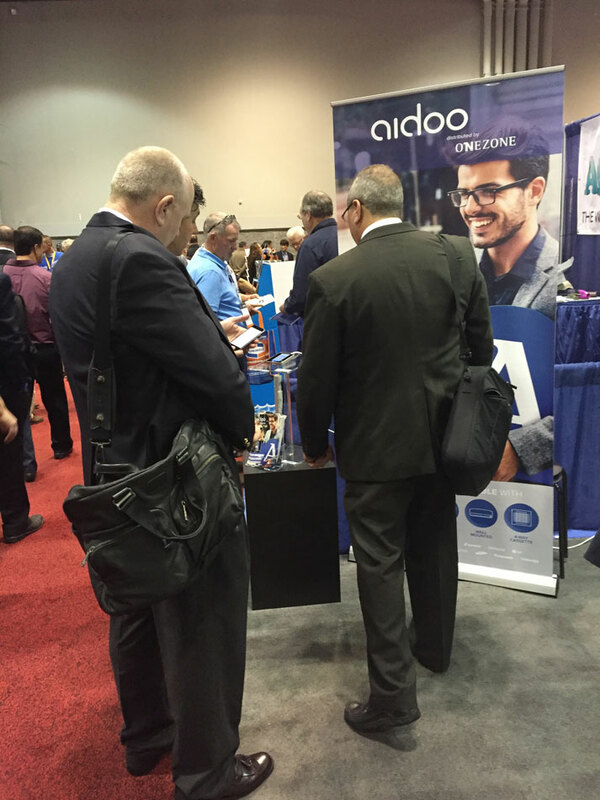 Last year in Orlando over 60,000 attendees were registered, this year is expected to get close to that number. OneZone’s Team is happy to announce that Carrier Enterprise Florida has been added to our exclusive network of distributors for OneZone Single. 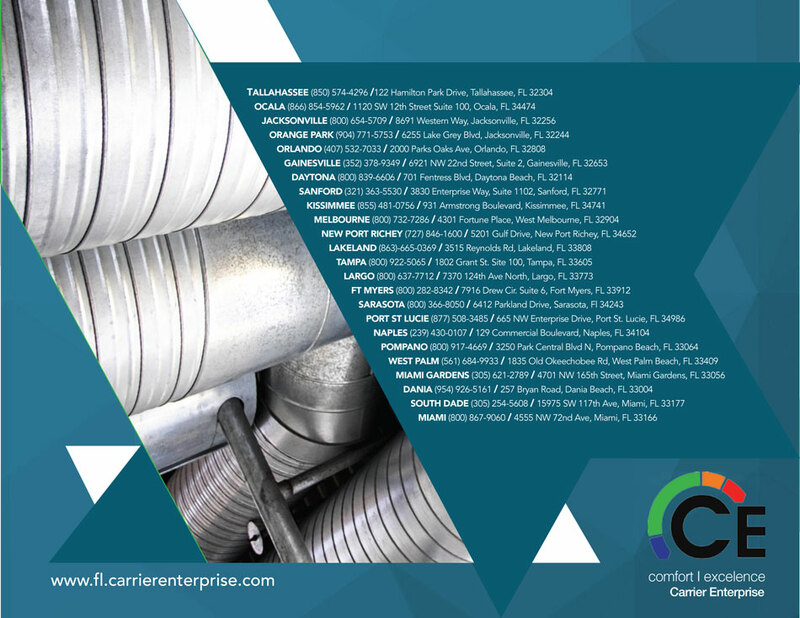 Carrier Enterprise is part of the largest HVAC Distribution network in North America. They sell and distributes Carrier, Bryant and Payne residential and light commercial Heating, Ventilation and Air Conditioning (HVAC) products, parts and supplies throughout the United States, Latin America and Caribbean utilizing 110 locations in 20 states and Puerto Rico. 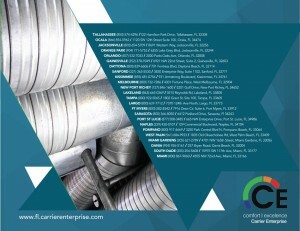 Carrier Enterprise Florida is one of the most important regions for the company. 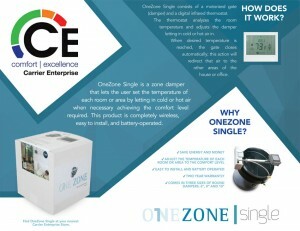 This strategic allied will give a boost to our product and brand. 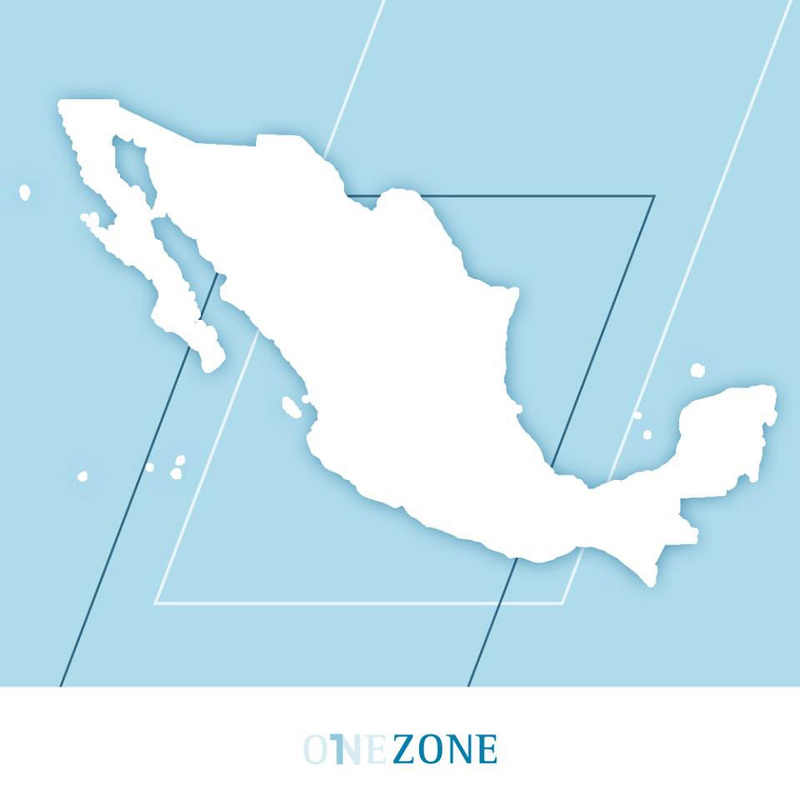 Feel free to visit any of the locations listed in our Where to buy page to know where your OneZone Single. 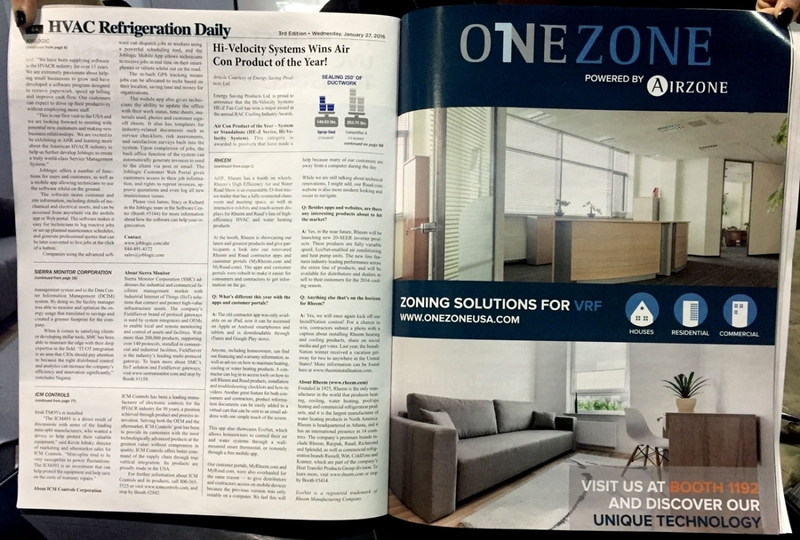 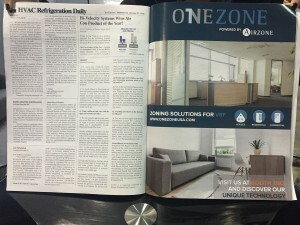 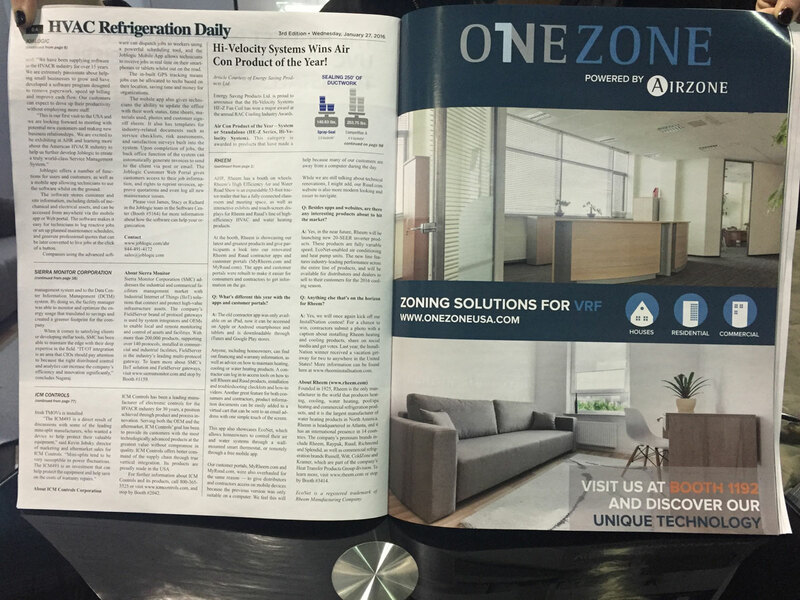 Thank you to our friends from HVAC Refrigeration Daily for including the following article in its January 2016 publication regarding on how to improve VRF through zoning. 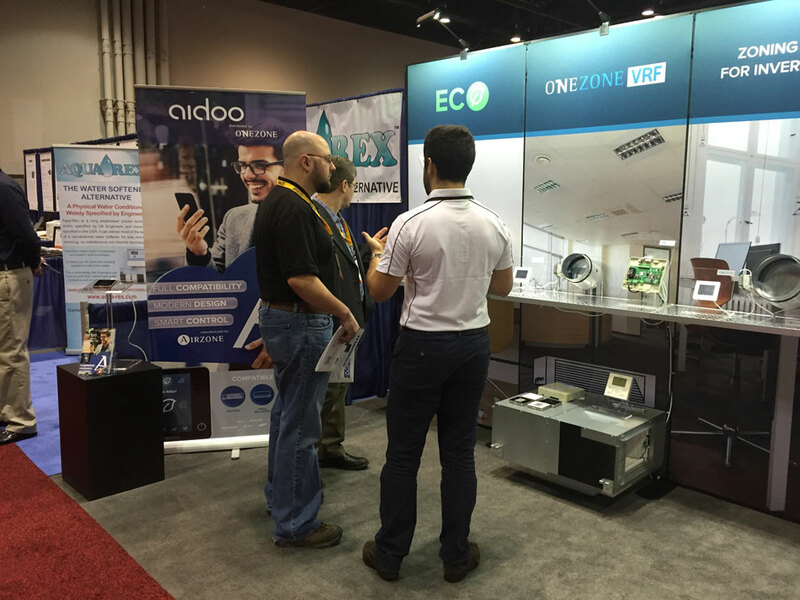 Thank you to all the engineers, installers, contractors, wholesalers, distributors, managers, and business owners who took the time to stop by our booth to meet our systems. 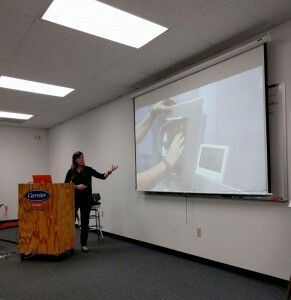 Our innovations called special interest. 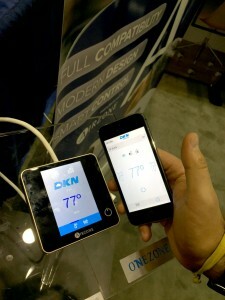 Particularly our pioneering smart thermostat for VRF: Aidoo, which will be available in the US very soon. 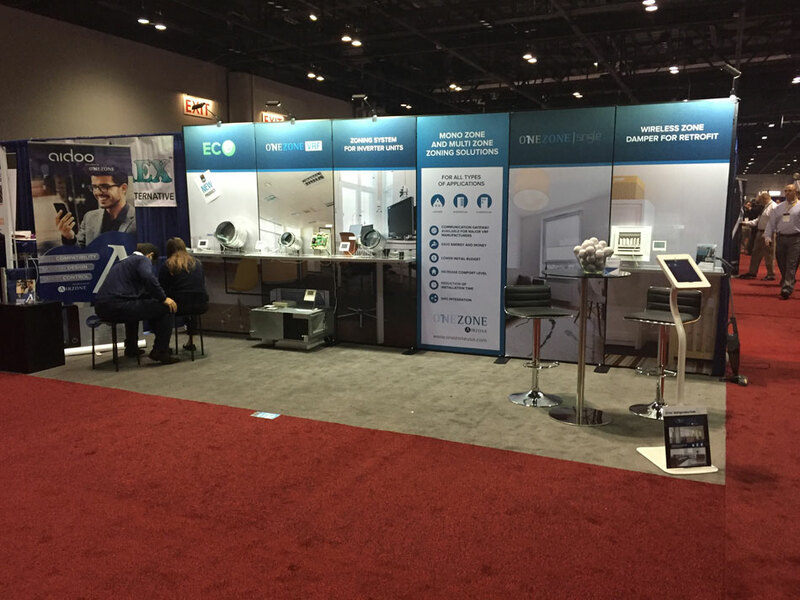 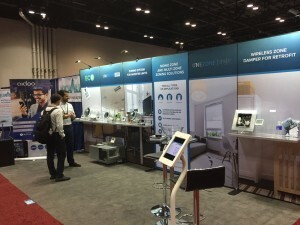 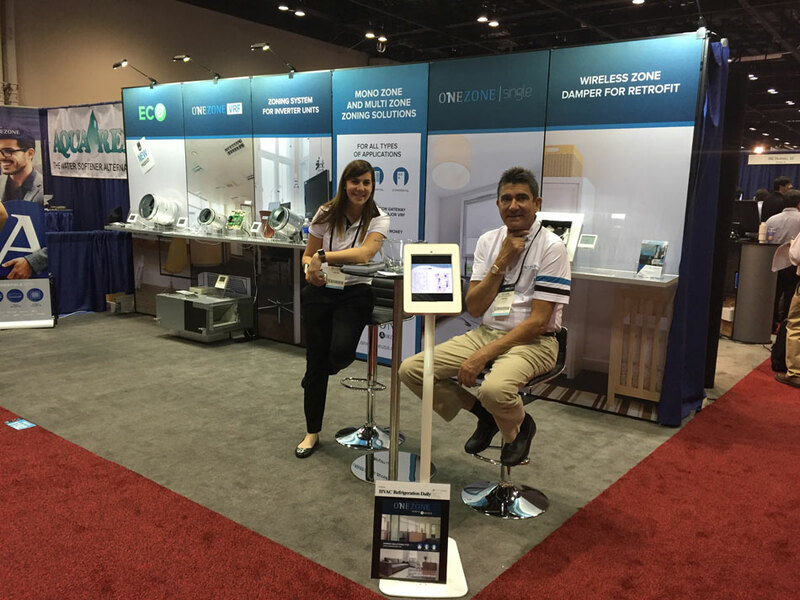 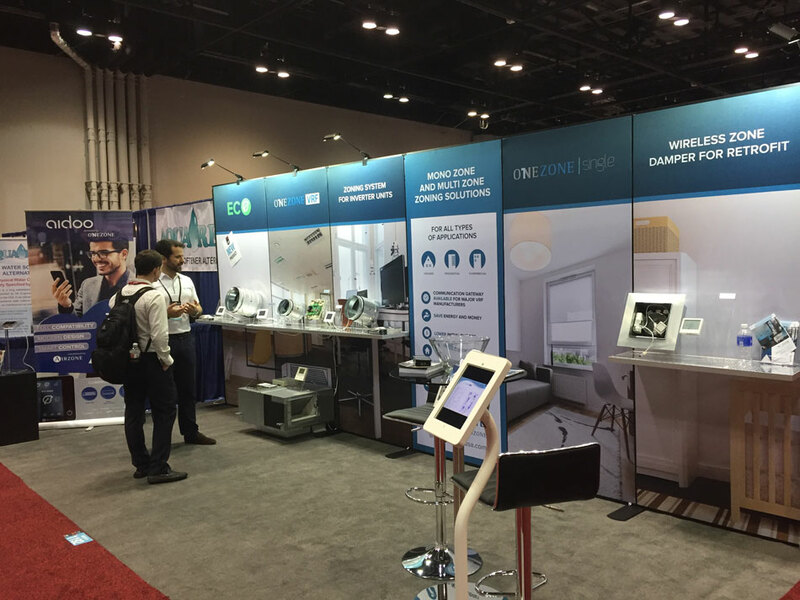 From Monday Jan 25th to Wednesday Jan 27th more than 60,000 people visited the Orange County Convention Center in Orlando to participate in the most important event of the year in the HVAC industry. 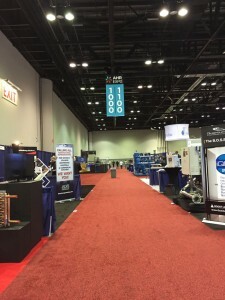 Most exhibitors planed to present new or upgraded products, systems, and technologies on the Expo floor. However, we were acknowledged by most of our visitors, as one of the only exhibitors who actually complied with this premise. 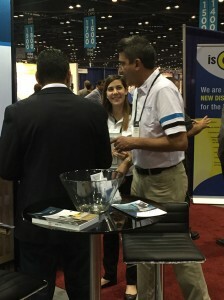 This success encourages us to keep materializing new and fresh ideas, looking forward to see you again next year in Vegas. Thank you! 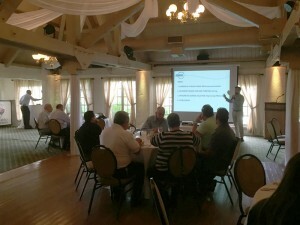 Check out some pictures from the event. The World’s largest HVACR marketplace will take place again this upcoming January. This time, the Orange County Convention Center in Orlando will be the host for this magnificent event. 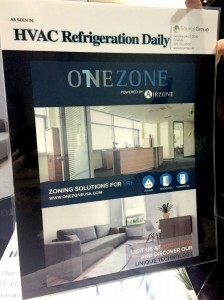 Once again the OneZone team will be exhibiting our systems in the AHR Expo. 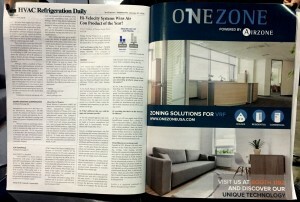 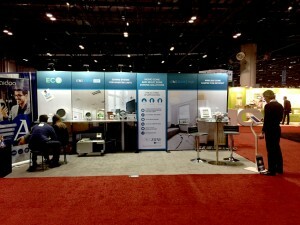 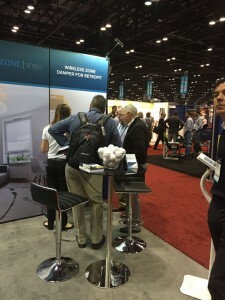 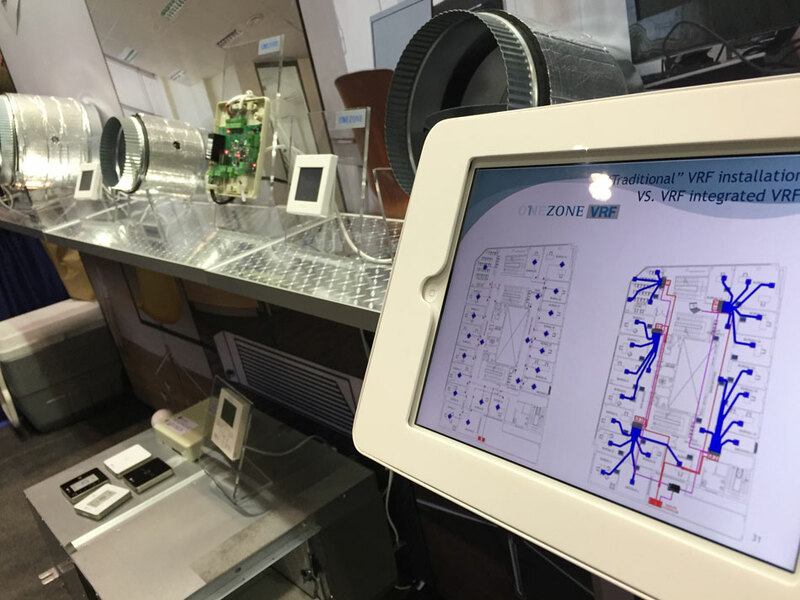 Last year in Chicago we released for the first time our system IB32, now known as OneZone VRF. This year, we will have an amazing showcase where we will display both OneZone Single and OneZone VRF, and a new surprise product that will be revealed during the Expo. The 2015 AHR Expo was a total success recording the record of the best-attended event ever held in the city of Chicago. 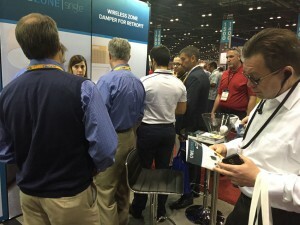 With over 61,000 attendees and 42,000 visitors. We are sure that the upcoming Expo won’t be an exception. We have huge expectations about this event that you cannot miss. 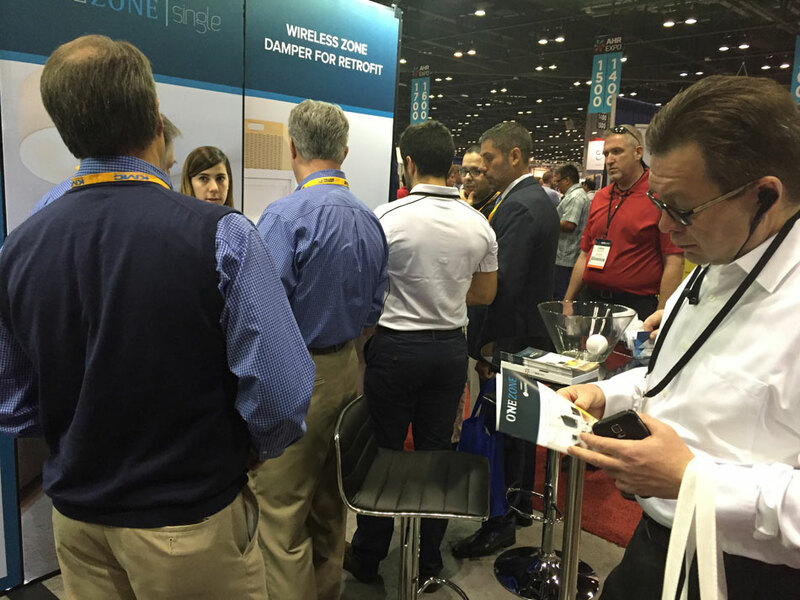 Please stop by our booth #1192 where we’ll be showing our systems with our group of Engineers and experts. 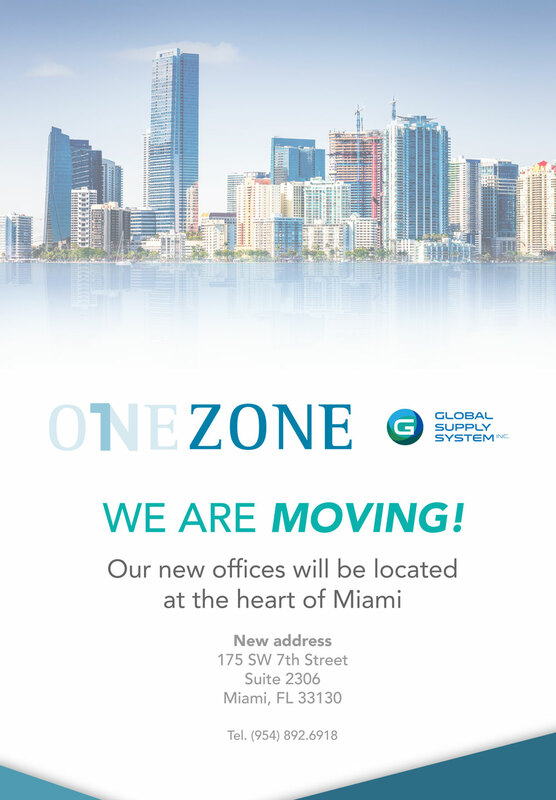 We will have gifts, raffles, and many other surprises. 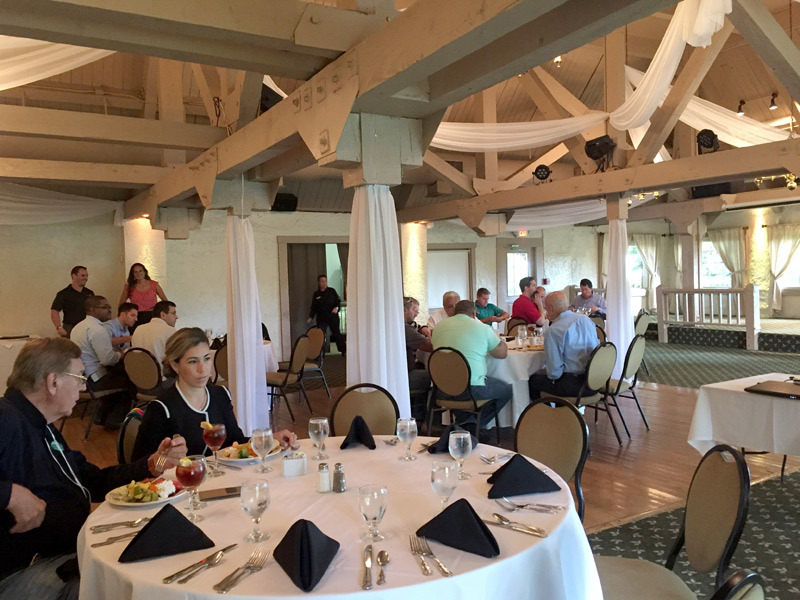 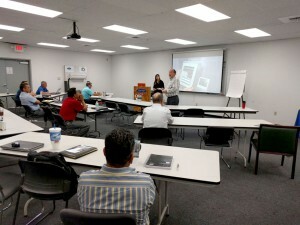 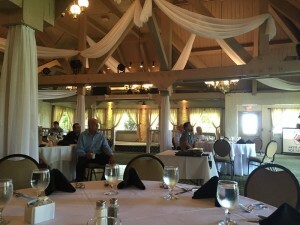 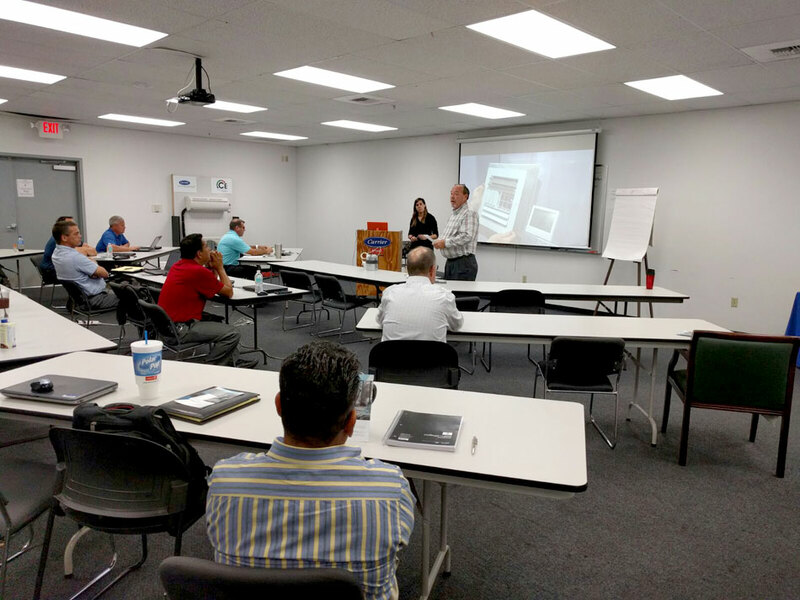 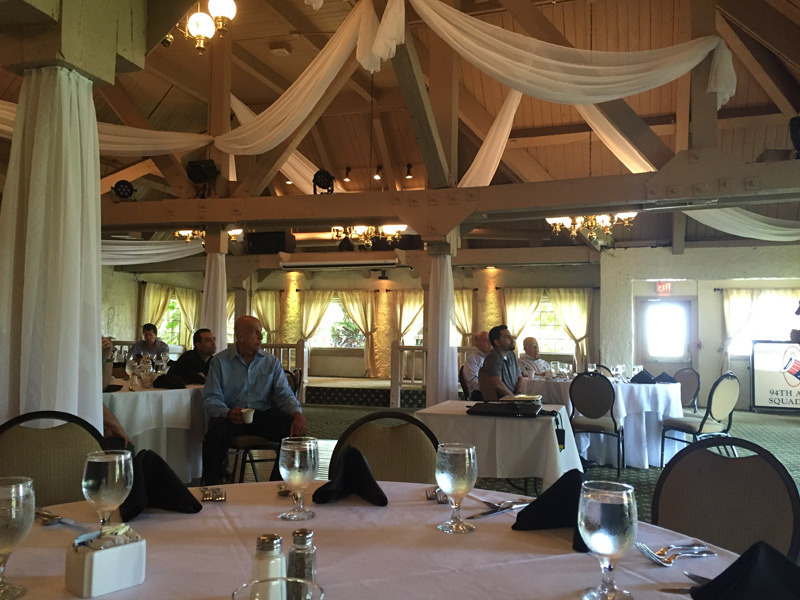 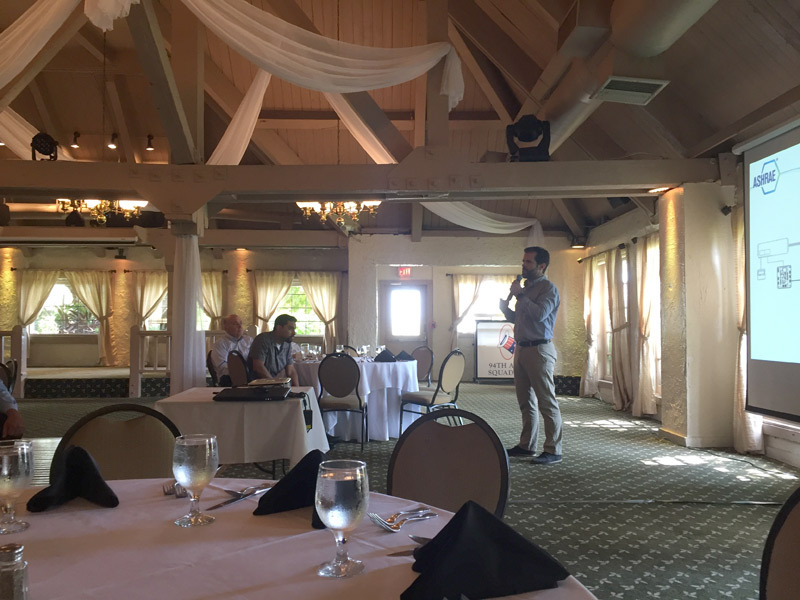 The October ASHRAE Miami Chapter hosted a very interesting presentation about VRF and Controls. The speaker was Engineer Borja Fernandez from Airzone, our manufacturer and partner in Spain. 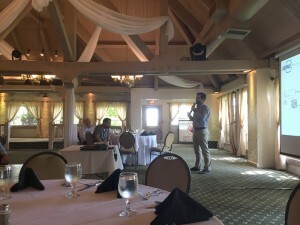 Mr. Fernandez explained the advantages of VRF technology, compared with different types of systems, and demonstrated how zoning can improve the efficiency of a VRF installation. 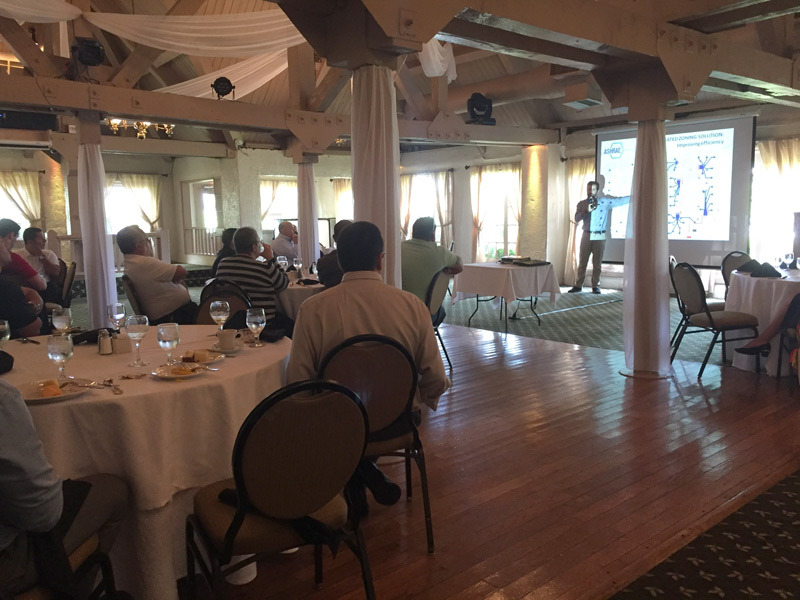 He ended up the presentation comparing a standard VRF installation with that same installation with a zoning control. 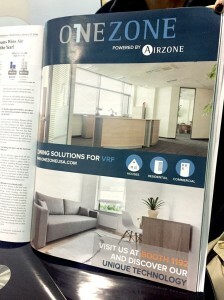 “The perfect solution is to find the Golden Mean with the state-of-the-art VRF Technology” he stated. 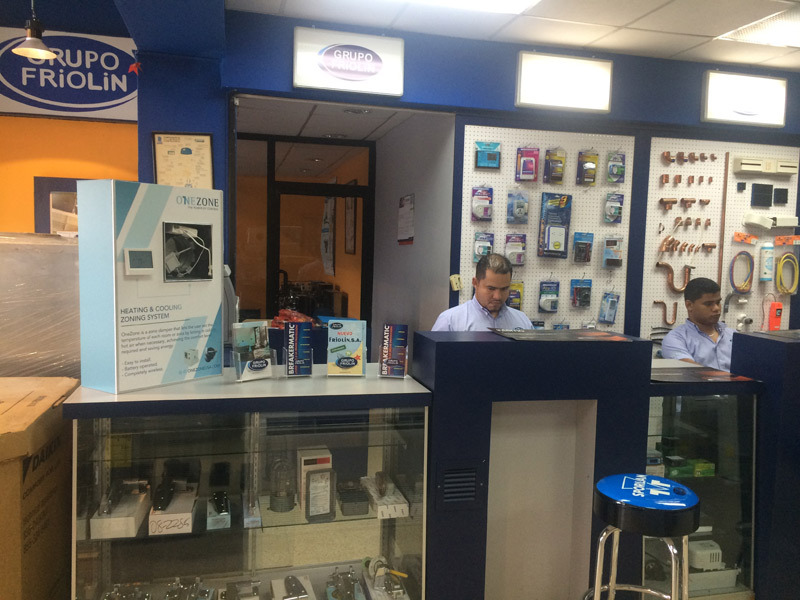 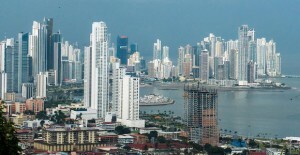 Friolin Panama is the biggest distributor in Panama with 10 different stores, and 2 more in the way. 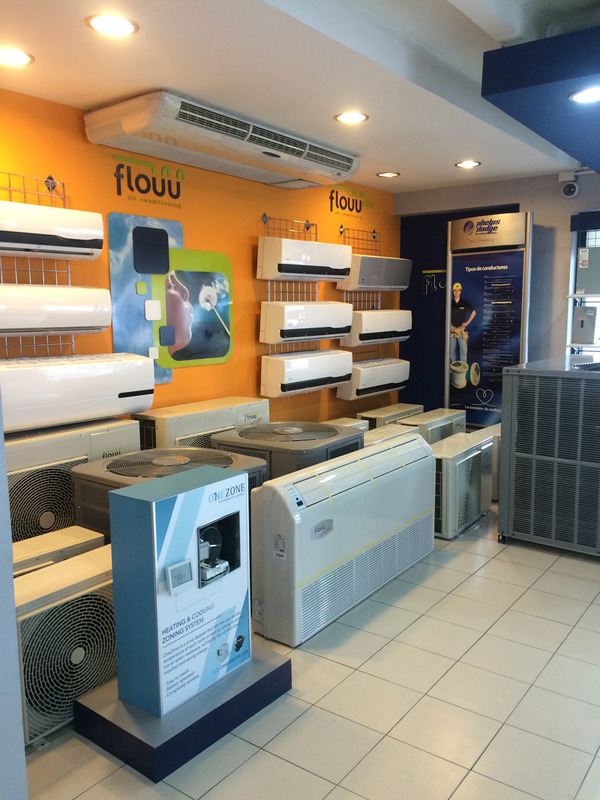 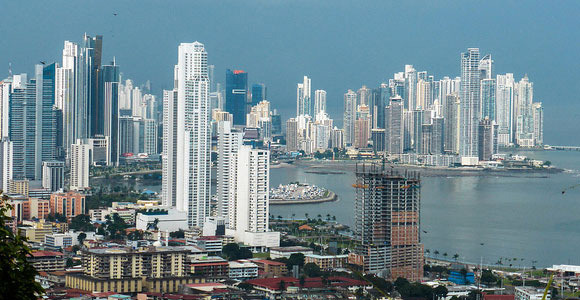 Founded in 1971, Friolin is a benchmark in the HVAC business in Panama and Central America. 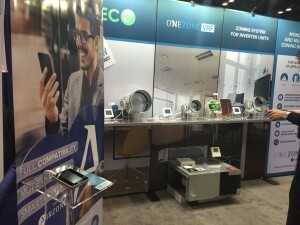 OneZone Single will start with a pilot in 2 stores. 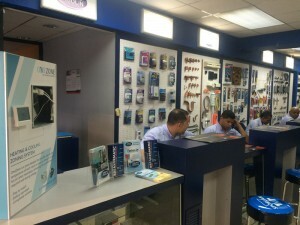 We are planning to be in the other 8 stores by the end of the year.